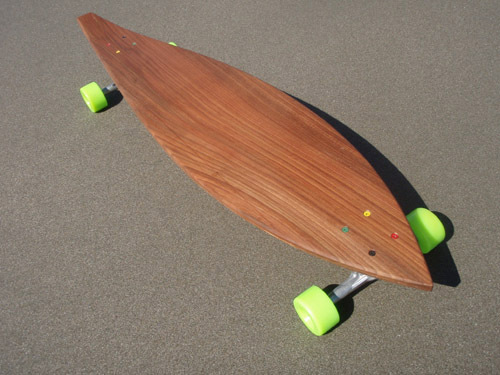 The Deep Deck longboard will premier this summer at my Deep Craft Atelier pop-up project at Storefront Lab in San Francisco’s Mission District. 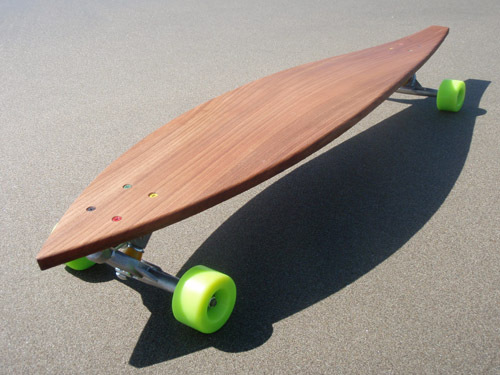 A limited edition, complete skateboard featuring OJ wheels and Ace trucks will be for sale to the public on three consecutive Saturdays, 7/28, 8/4 and 8/11, along with other Deep Craft products and items made by select visiting artists and designers. 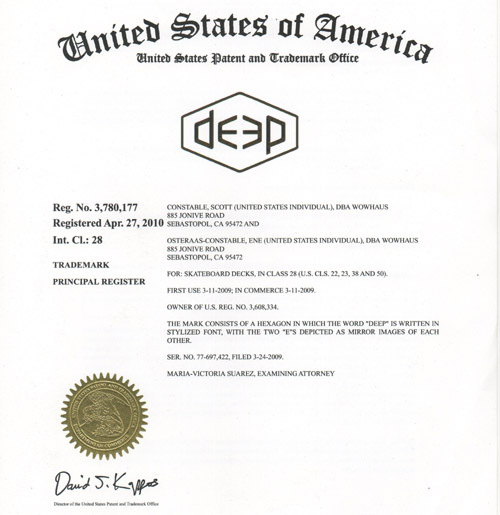 I’m very proud of my registered trademarks protecting the Deep Craft name and logo in three classes, including skateboard decks. 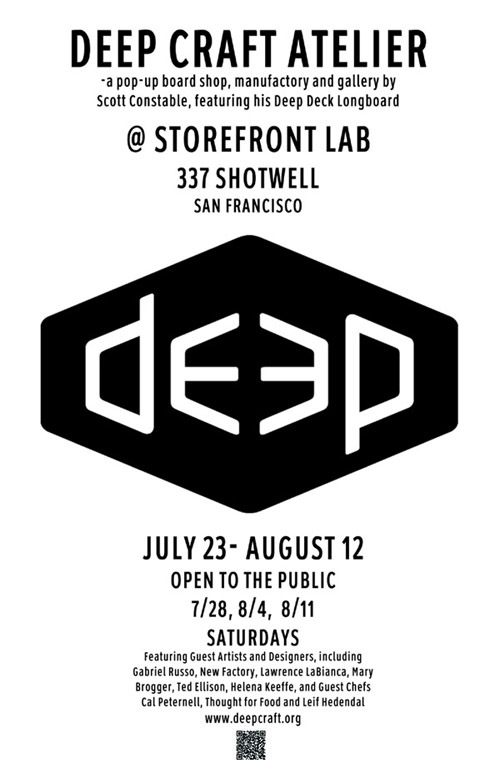 The inaugural, collector’s edition of Deep Decks will be introduced to the public this November as part of Stephanie Syjuco’s Shadowshop project, an experimental, pop-up store in the galleries of the San Francisco Museum of Modern Art (SFMOMA), through May 2011. 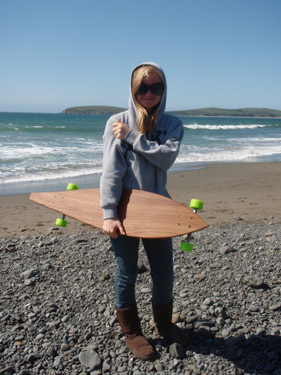 I have been gearing up for the first production run of the Deep Deck longboard, an innovative cruising concept I’ve developed using hand-milled logs from Northern California horticultural salvage. 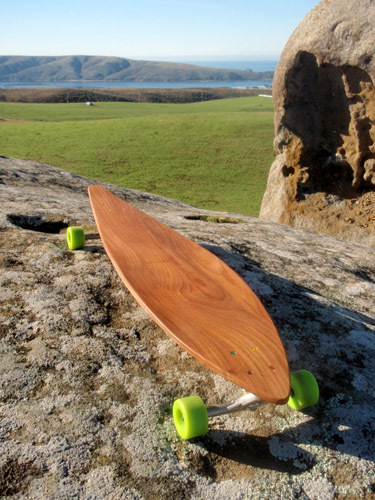 The prototype was introduced to the public last winter at the San Francisco Museum of Modern Art (see below) and was very well received. I’ve since been air-drying select hardwoods, outfitting a dedicated production facility, securing trademarks, and building jigs for a series of limited production runs, each featuring wood from a specific tree salvaged by local arborists. I hope to have the deck available for sale in select, West Coast skate and surf shops, and will be adapting this page to allow for e-commerce as the first batch is ready for purchase. Click here to learn more about the development of Deep Deck.